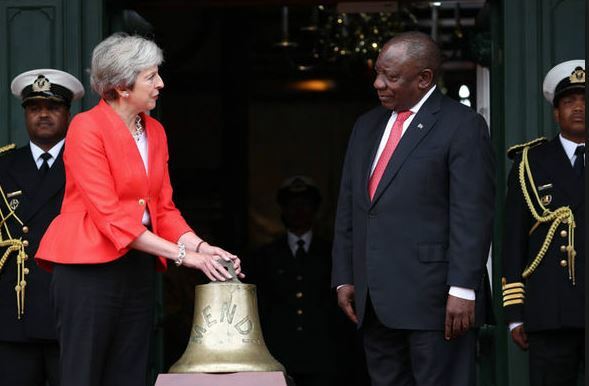 President Cyril Ramaphosa of South Africa on Tuesday thanked British Prime Minister Theresa May for handing over the bell of a World War I ship on which over 600 black South African troops perished when it sunk in 1917. “We also confirmed our wish that the negotiations on the UK’s exit from the European Union are concluded in a manner that restores stability to economic and financial markets,” he said. “We will remain a global champion for aid spending, humanitarian relief and international development,” she said in an address. 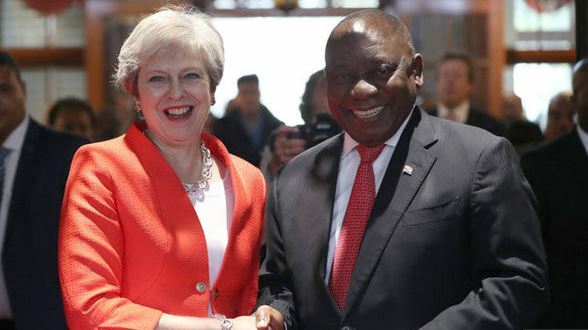 Her U.S. counterpart Donald Trump last week angered the South African government after tweeting concerns about their intention to expropriate land without compensation in order to address historical inequality.